I thought I'll let you have a lookie at some products from the highly anticipated Lakmé Absolute Collection. 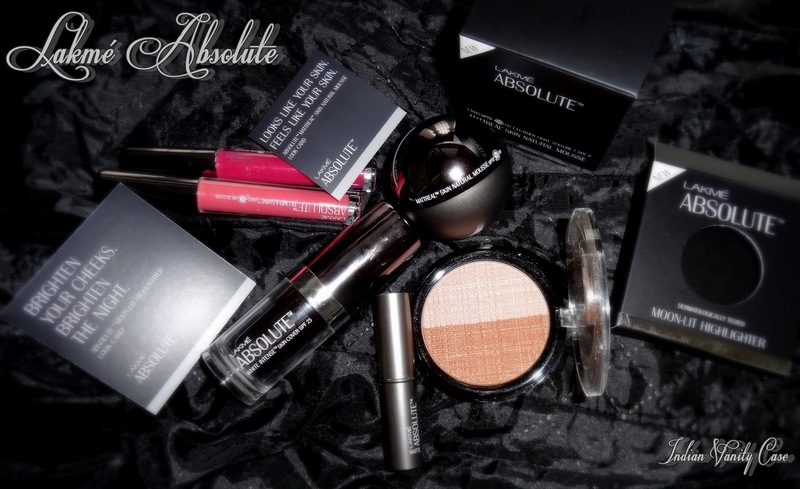 Lakme Absolute White Intense Skin Cover. Rs.575 : Review coming in the next few days. Lakme Absolute Mattreal Skin Natural Mousse, Rs.467 : Will review this too in a week or so. Lakme Absolute Moon-Lit Highlighter, Rs.510 : Lovely design. Will show you if it looks as lovely on the face. Lakme Absolute Matte Lipstick, Rs.318 : I got Grape Blossom. Swatches coming soon. Prices may differ coz I got a discount on them from Lifestyle. White Intense Concealer Stick: This blends well & has a matte finish. It might be ideal for summers, so I might get it later. Baked Chromatic Eyeshadows: I just wish these didn't come in twos. A palette of 6 or more shades would have made me impulsive. Lip Last: I have not tested these. Somehow they were never at any store. Maybe they aren't launched yet? Lip Sync 6-in-1 Travel Kit Palette: This lip palette, though cute, is quite similar to the Gypsy Collection Lip Palette & the lippies smell the same. Flutter Secrets Dramatic Mascara: Umm...can someone review it first? And what have you all bought from the collection? 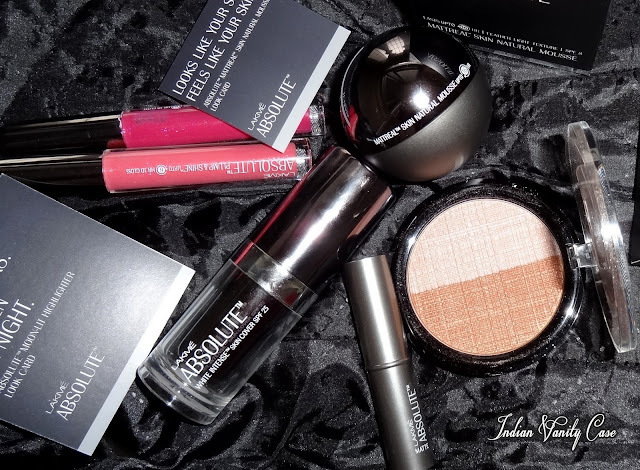 love the packaging of this Lakme Absolute Line. Tempted to try out their foundation mousse in that cute ball packaging but I also want to try out the B.B Creams too in the asian markets. Great post Cynthia as always ^_^.